What did Bernanke mean by ‘attentive’ to the dollar? Ben Bernanke’s unusual comments on Tuesday when linking a weakening dollar with inflation threw financial markets into a spin and sparked a mini exodus of dollar short position from the currency markets. The euro fell by 2 cents against the greenback in the matter of a couple of hours. Currency markets have since stabilised and it remains to be seen whether Bernanke’s verbal intervention will help fuel a more sustained dollar rally. It is highly unusual for a Fed Chairman to make a direct reference to the dollar’s valuation as it is generally the responsibility of the Treasury Department to talk about Exchange rates. Heretofore Treasury Secretary Hank Paulson’s limp statements about a ‘strong dollar’ being Administration policy have fallen on deaf ears within financial markets. Most traders believe the US Administration has taken on a role of indifferent to the dollar’s demise, believing a weak dollar would stimulate the US economy, through making the country’s exports more competitive. So why has Bernanke chosen to speak now? It is a stark admission from the Fed Chairman that inflation is a major problem at a time when the US economy is screeching to a halt. With headline inflation running at 4% even before $4 gas hit the pumps in May, it is clear that the path to economic recovery is threatened by spiralling inflation costs. This inflation is exclusively driven by rocketing energy and food costs, thanks to spiralling commodity prices denominated in US dollars. The more the dollar declines, the higher commodity prices go and the greater the impact on US inflation, i.e. US inflation is essentially an imported problem. Of course dollar weakness only accelerated after the Fed embarked upon an aggressive rate cutting campaign in September last with 325 basis points shaved off the Fed Funds rate by April. The US dollar has lost more than 10% against the euro in this time while oil prices have increased by 80%. The Fed believed at the time that inflation would gradually moderate as the economy slowed. They were clearly wrong. Nobody knows to what extent speculation has contributed to driving commodity prices to record highs, but the dramatic rise in oil prices over the past 9 months has directly coincided with the Fed’s aggressive easing policy and there is a very strong correlation between the two. The Fed failed miserably to recognise that a unilateral interest rate policy would stoke inflation risks and pose major difficulties for US consumers, long before the policy had time to bed down and have a real positive impact in stimulating the economy. The Fed clearly cannot turn around now and raise US interest rates to curb this rising inflation because it would be an admission the FOMC got it desperately wrong and the Subsequent loss of credibility might fatally undermine a financial system already reeling from the recent subprime debacle. Bernanke now hopes external factors might do the Fed’s work for it and hence this public ‘attentive’ eye on the dollar. A rebound in the dollar would certainly force a liquidation of speculative positions in dollar denominated commodities, thus resulting in a fall in commodity prices, thereby easing US imported inflation, in oil and food. What is uncertain at this stage is if Bernanke meant this ‘attentive’ statement to act as a ‘veiled threat’ to speculators and hedge fund managers, i.e. hinting at possible currency market intervention to curb the dollar’s decline, or whether it is an ‘invitation signal’ to market players to now buy the dollar, because the Fed has come to the end of its easing cycle. 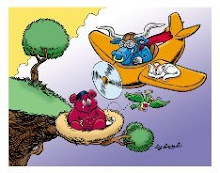 The latter is most likely what Bernanke had in mind, but if currency markets fail to pick up on his invitation and dollar bears rule the roost and send the currency lower over the coming months, then the Fed will not only look as if it is the one which got got it wrong, but it will also be seen to look powerless to do anything about it, something that could have serious implications for the direction of currency markets, and indeed the dollar, over the next number of years.